From corporate Twitter account to menu item!? Sharp-san to Tanita-kun teams up with Marunouchi Tanita Shokudou for a tasting event! From countries to cells, and from trains to animals… All different sorts of “anthropomorphization manga” have been created, where non-human things become personified characters. 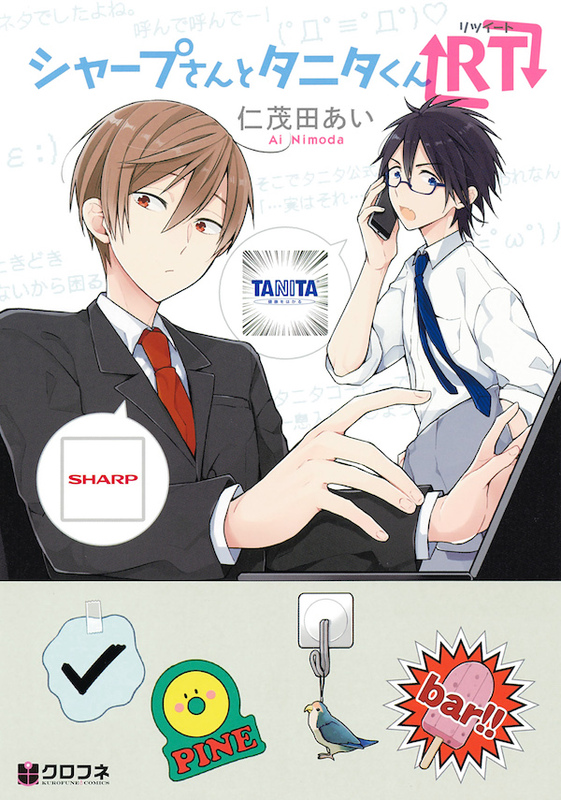 One of them is our focus today: Sharp-san to Tanita-kun＠ (currently serialized on pixiv), a manga that anthropomorphizes the official Twitter accounts of two major Japanese companies, Sharp Corp. and Tanita Corporation. The accounts of these companies have been building up a fan following over the past few years due to the relaxed nature of their posts, and the personable and very human way they interacted with their followers, which was unusual for official PR accounts of major Japanese corporations. Manga artist Ai Nimoda decided to create characters based on those accounts, and so the manga, Sharp-san to Tanita-kun@, was born. The manga continues to grow in popularity, as various other company accounts also make appearances as characters. As well, its appeal continues to grow due to its many collaborative projects and events. Among them is a current collaboration event with the restaurant, Marunouchi Tanita Shokudou. For a limited time, from Sunday, March 6 to Saturday March 18, they’ll be featuring a special Sharp-san and Tanita-kun-themed menu. Ai Nimoda, the manga’s creator, along with “a person from Tanita,” were guests at the tasting event, so pixivision’s editorial staff was sure to be on the scene! Featuring a menu that captures the essence of the two characters! 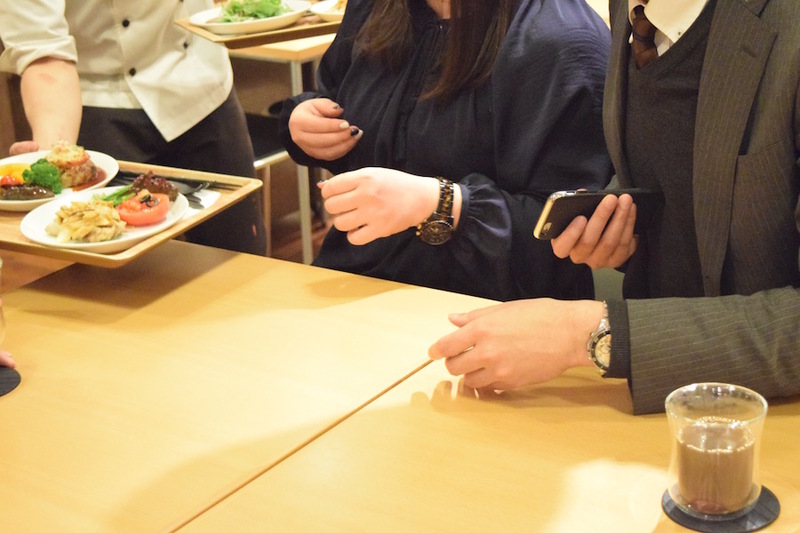 ▲　The excited Nimoda and “somone from Tanita” as the dishes are brought out. Marunouchi Tanita Shokudou’s Sharp-san to Tanita-kun@ theme menu features various recipes inspired by Sharp-san and Tanita. 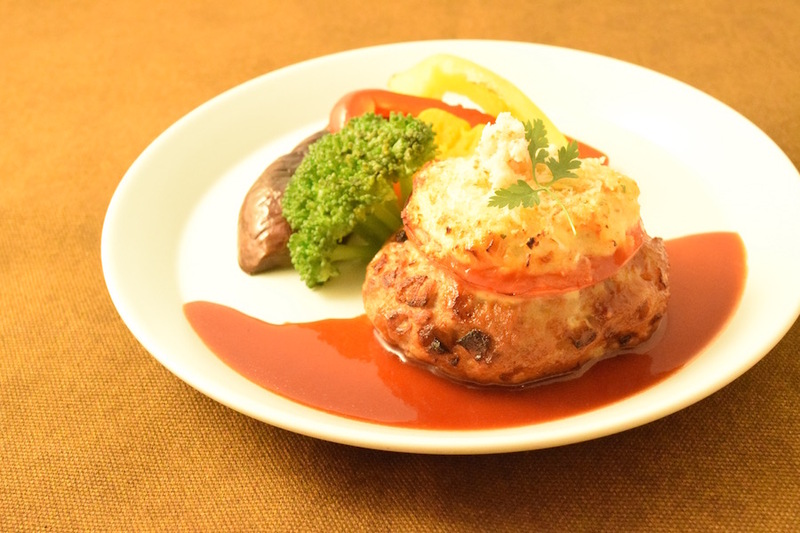 “Sharp-san’s Crab Tartar Hamburg Steak Set,” is a Sharp-san-inspired hamburg steak made from crab meat and tartar sauce. Apparently, “the person from Tanita” loves crab. It’s a dense-looking patty, but at 300 kcal* per serving, it’s a light and healthy menu item. Since Sharp-san eats a lot in the manga, we think a hefty meat patty is a perfect fit for his image. Plus, the redness of the crab brings out the color of Sharp’s corporate logo. On the other end, we have the Tanita-kun inspired “Tanita-kun’s Chicken Stroganoff-style Set,” which is chicken stroganoff with some twists. Supposedly, this was the first time the restaurant attempted Russian-origin cuisine. Replacing the traditional beef with ground chicken, flour with dried tofu, and fresh cream with soy milk, it’s made to be packed with more nutrients while also being lighter on calories. Shiitake mushrooms and green onions add just that much more savory flavor. Using chicken, which is high in protein and low in calories, it fits the athletic Tanita-kun to a “T”. This dish also clocks in at around 300kcal*. Tanita-kun’s character works out and works hard in the manga, so the choice of chicken for his dish is that much more fitting. And the use of olives to symbolize his glasses is just too cute! And it seems it’s a hit with “the person from Tanita” too! 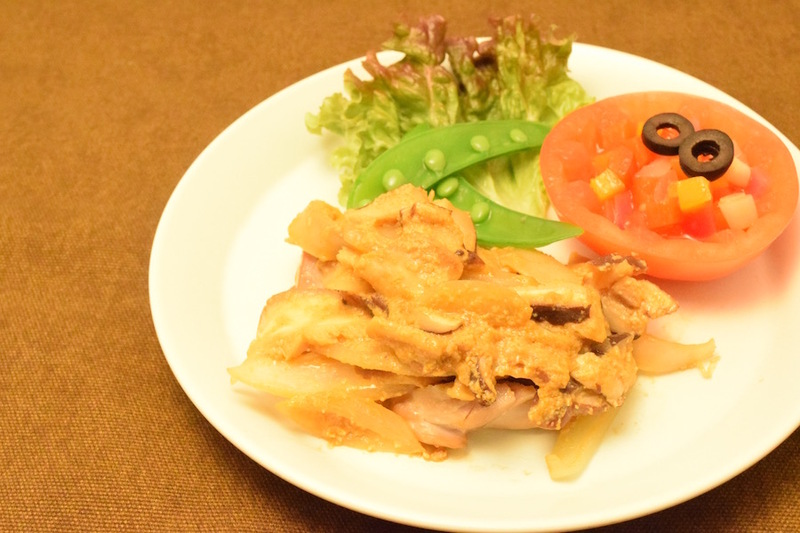 The use of chicken for the dish--which is healthy and non-fattening, as we said above--complements Tanita’s corporate image as well. It’s an added bonus that it’s also really tasty! 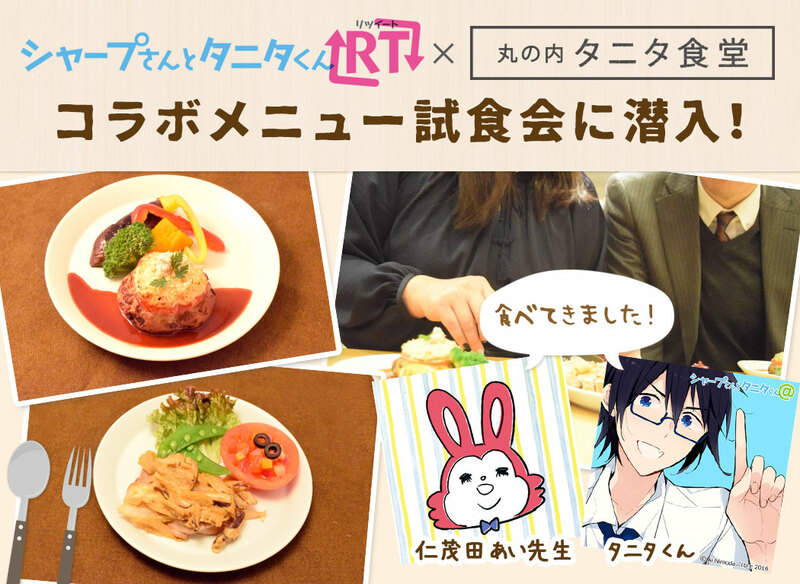 The collaborative menu gets the seal of approval from both Ai Nimoda and “the person from Tanita.” It’s definitely something that seems worth trying! 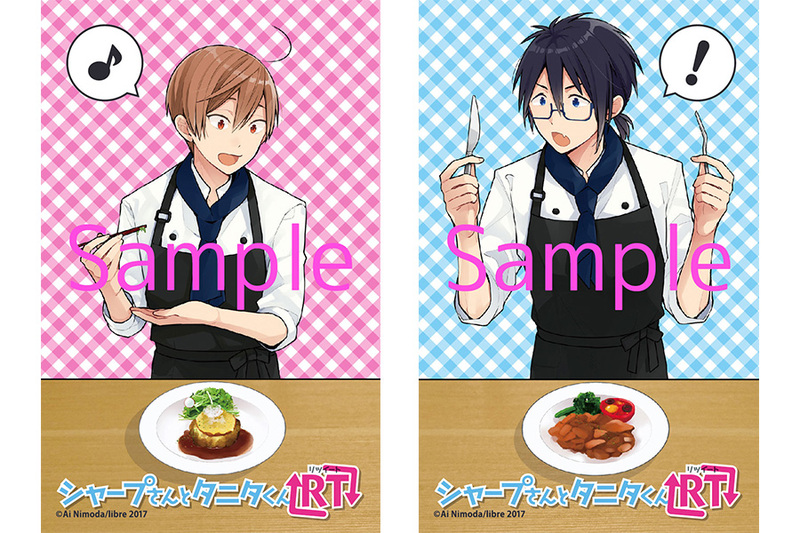 Furthermore, with each order, diners can receive a special sticker, designed by Ai Nimoda herself! * Figures apply to main dishes only. At the time of reporting, the set came with 2 sides of the day, miso soup, and rice. The total caloric value of the set is approx. 500kcal. Sharp-san and Tanita-kun switch characters!? “The person from Tanita” might have had something to do with it. 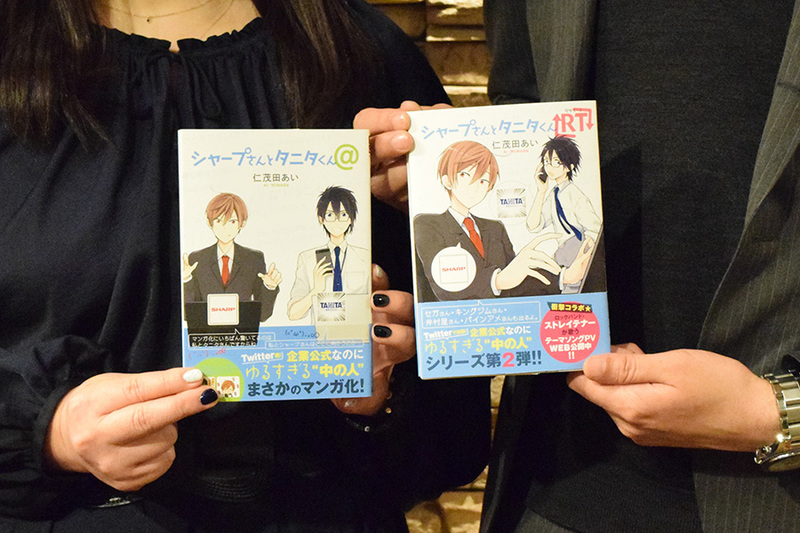 Moreover, we got to chat with Ai Nimoda about the Sharp-san to Tanita-kun@ manga. - What were you conscious of when you were creating the characters for Sharp-san and Tanita-kun? Since it’s a 4-koma [4 panel] comic, I intentionally designed them to be distinct enough that you could recognize them even in the limited spacing of the format. So, you can easily tell between the characters by even their silhouettes--they also have different heights, Tanita-kun has glasses, and so on. 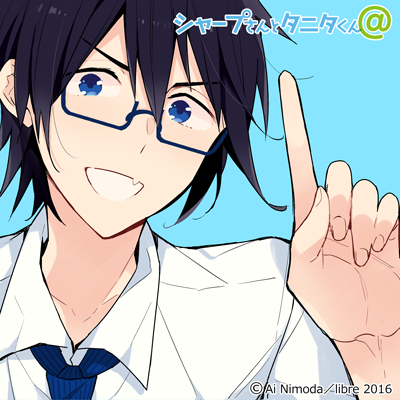 ▲ Ai Nimoda, Sharp-san to Tanita-kun@. - Wow! They really are designed with distinct features from the other. What about their personalities? - Is there a reason for that? It happened after meeting “the person from Tanita.” Sharp-san was supposed to be as much of an everyman as possible. But after meeting “the person from Tanita,” who told me I can be more free with the character, I started making Tanita-kun the more comical character. He was younger than Sharp-san and much more active, so it was easier to make him more expressive. Still, since “the person from Tanita” is an organized, “take-charge” person, I think Tanita-kun’s character started to become more the straight man. - Like with today’s theme menu at Marunouchi Tanita Shokudou, there’s other collaborative events planned in the future. What are your thoughts? There’s been a lot of surprising and unusual collaborations (laughs) so there are times, during discussion, where I wonder if we can even do it, but I’m always surprised at how well they turn out in the end. - Which one was the most surprising to you? It would have to be the collaboration with Straightener-san. I heard that they were going to make a song for us, so I was thinking it might be a character song, but it was actually a theme song. (Laughs) And so I was expecting it to be an upbeat, cheery song, since it’s a gag manga, but it turned out to be an emotional song, and I was shocked. But it was a very touching song, so I still really liked it. - Finally, please tell us what we can look forward to in Sharp-san to Tanita-kun@. There’s going to be more characters based on official corporate accounts in the future. You’ll also get to see new sides of Sharp-san and Tanita-kun, so I hope you’ll also enjoy the second series, Sharp-san to Tanita-kun RT! Check out the comic along with the Twitter accounts! 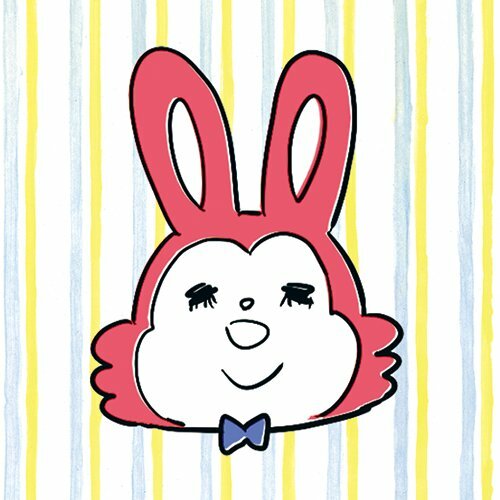 Among the many anthropomorhization manga, Sharp-san to Tanita-kun@ stands out as unique. Many surprising and unusual collaboration events await in the future! Keep your eyes peeled for both the story of the comic as well as the many things to come on Twitter as well as in the collaborations! The second comic series is on sale now! 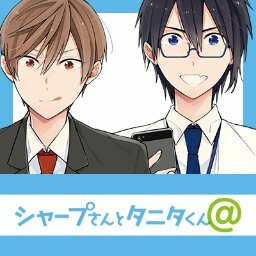 The long-awaited new series, Sharp-san to Tanita-kun RT, is on sale February 23. You can catch up from the beginning on pixiv, and read up to the latest story! ＞＞ Available for purchase here! 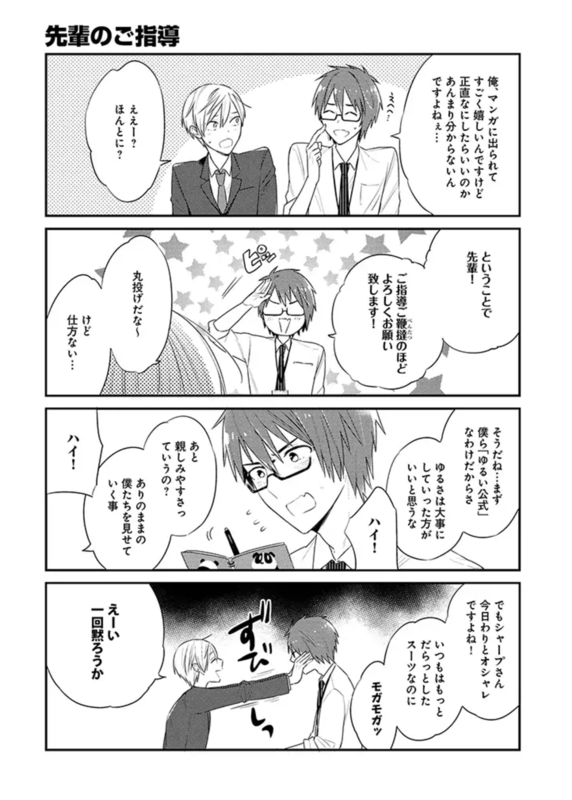 Read the Sharp-san to Tanita-kun comic on pixiv!